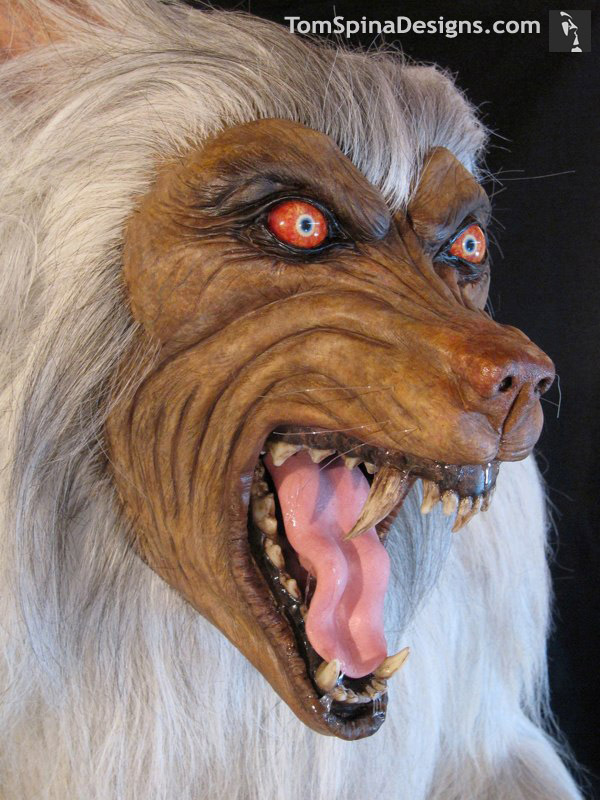 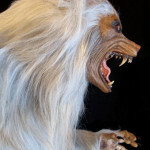 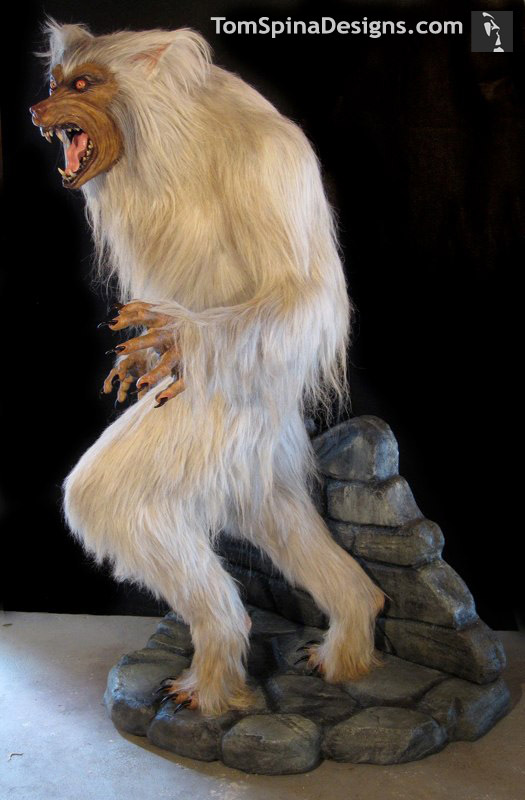 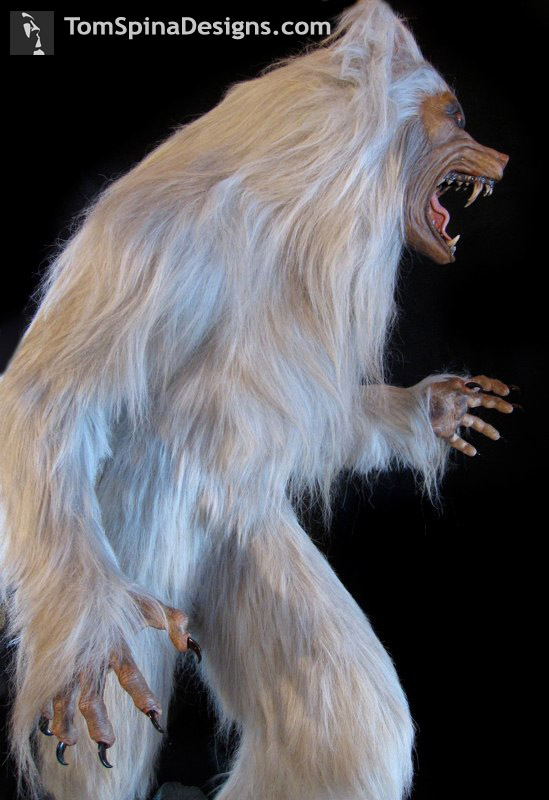 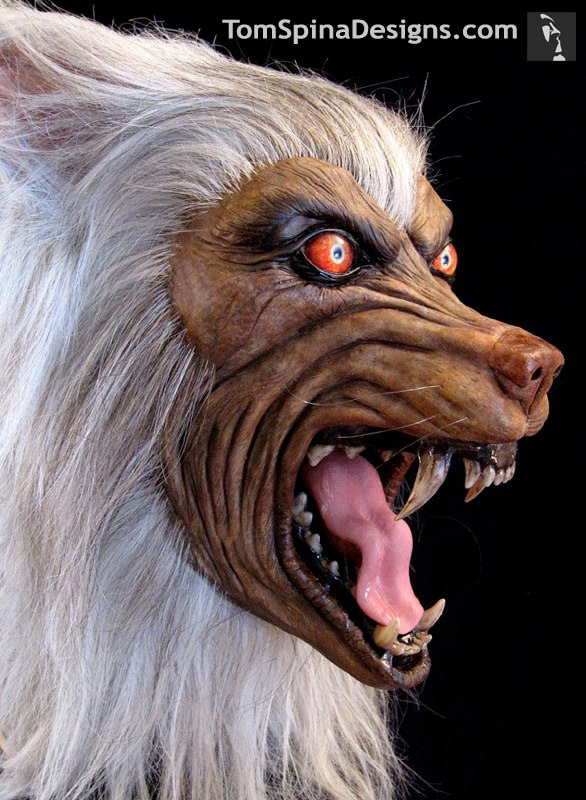 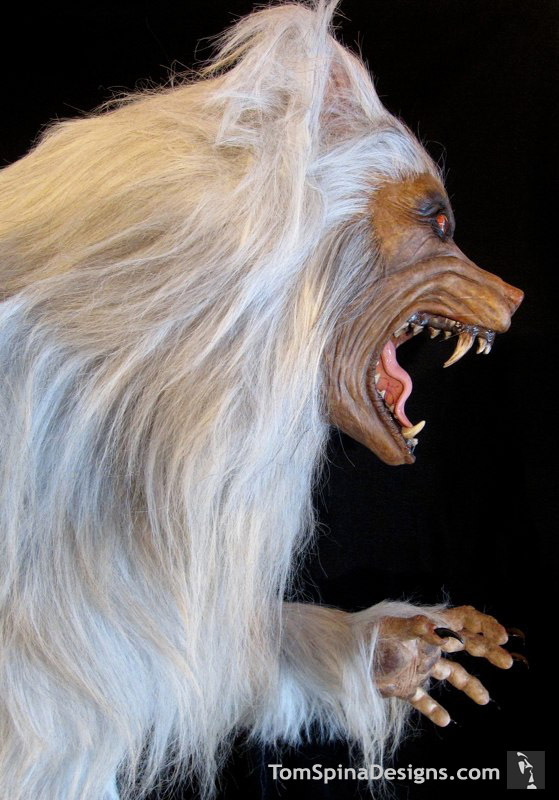 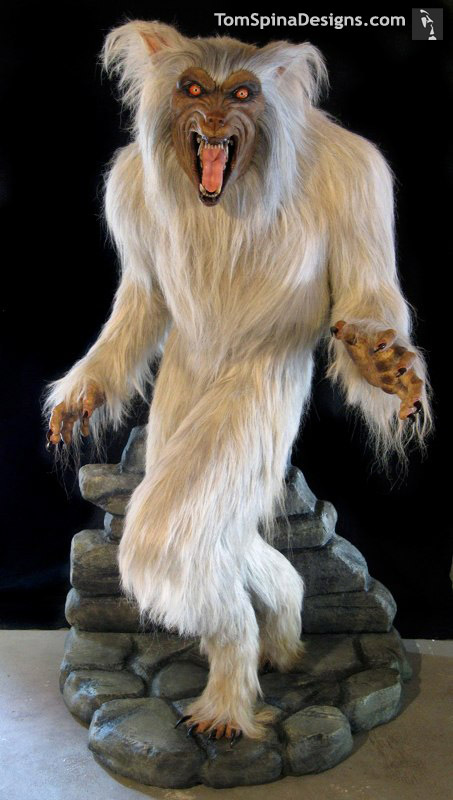 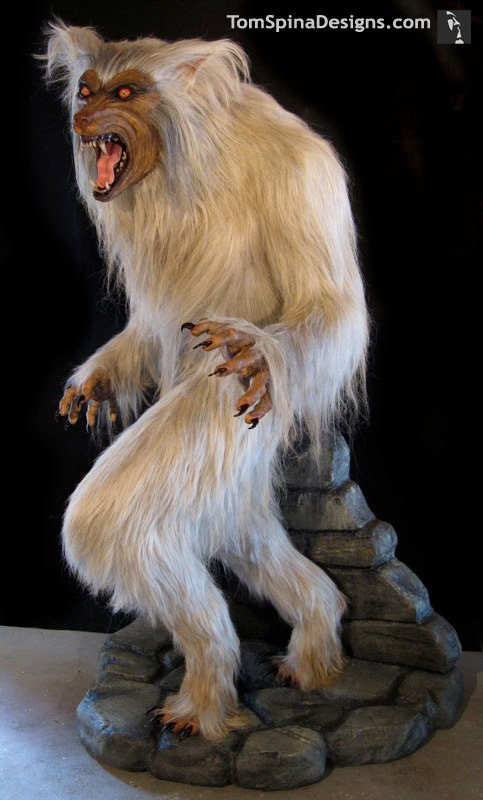 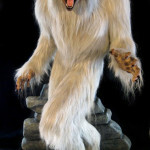 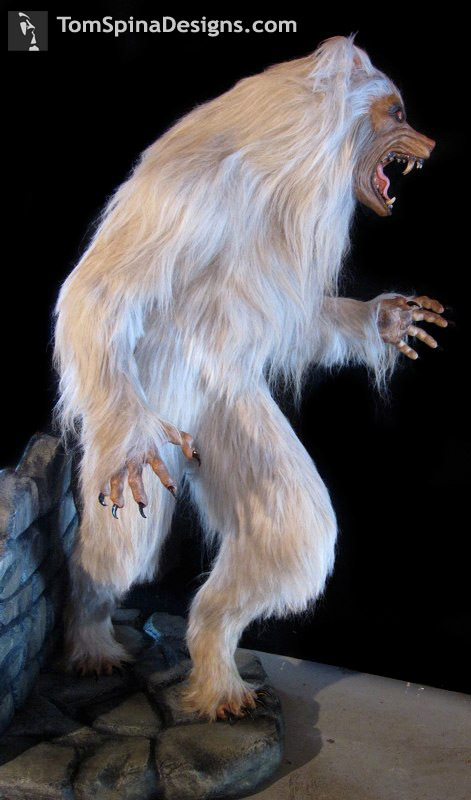 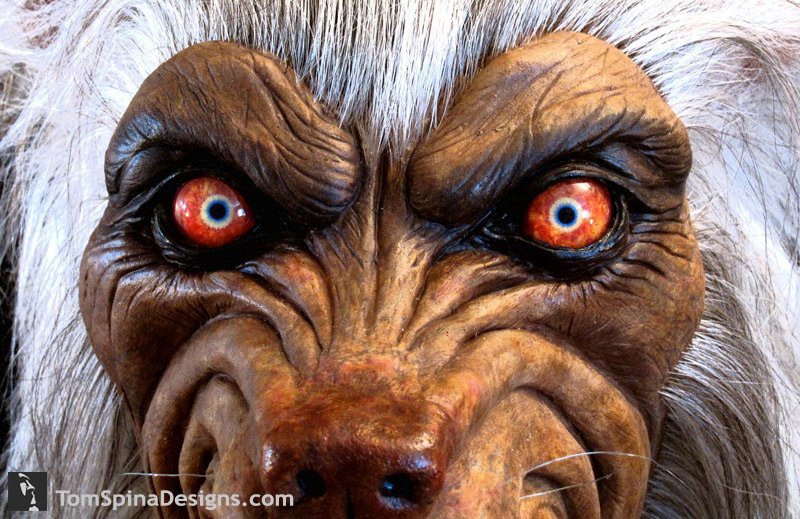 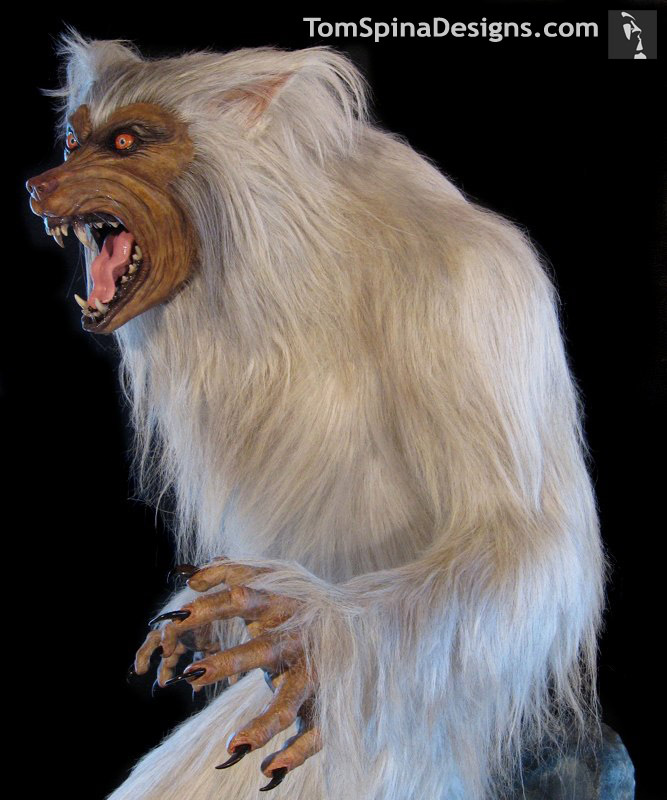 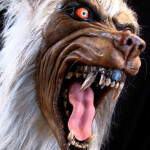 Pale Moon – A custom life sized white werewolf statue for a client’s home theater. 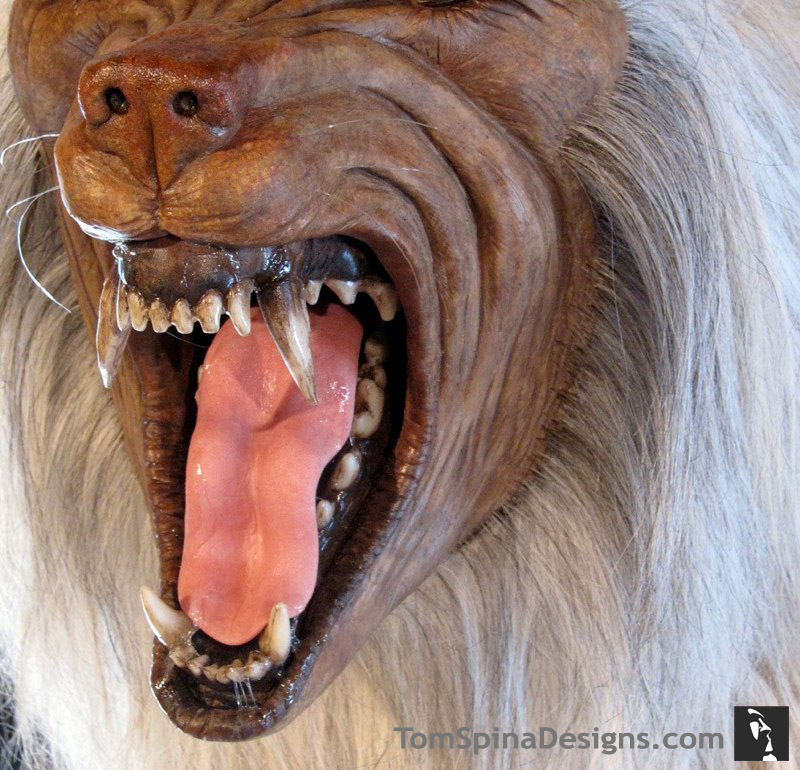 This highly customized version of our lifesized werewolf statue was a private commission for a display in the client’s home cinema (aka his Man Cave!) 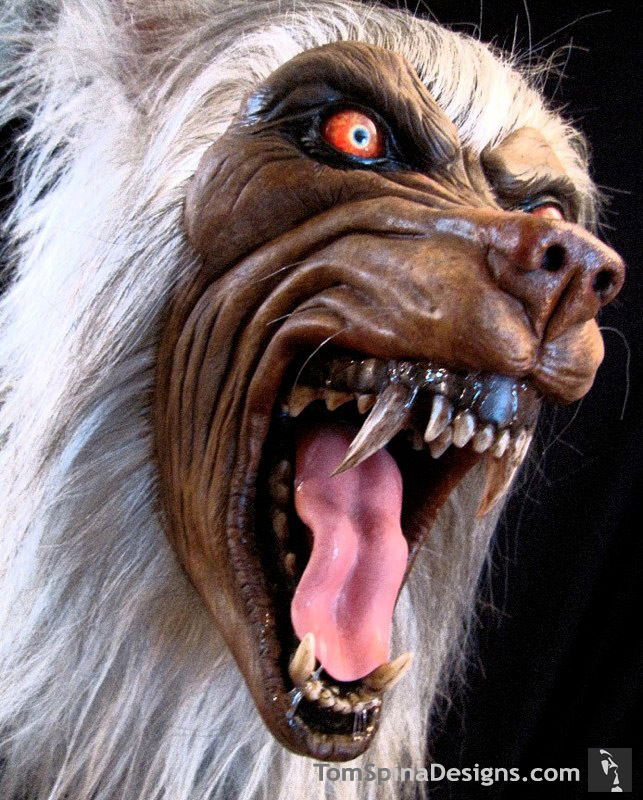 Tom Spina and Richard Riley created the dynamic Lycan style statue and loaded it with details like snarling fangs and a tongue layered with drool and a face and hands with hand punched hair. 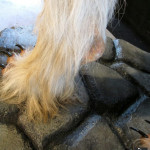 We finished the statue off with a foam sculpture for the custom themed base that looks like aged gothic castle stone! 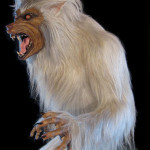 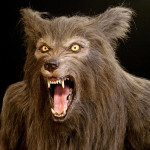 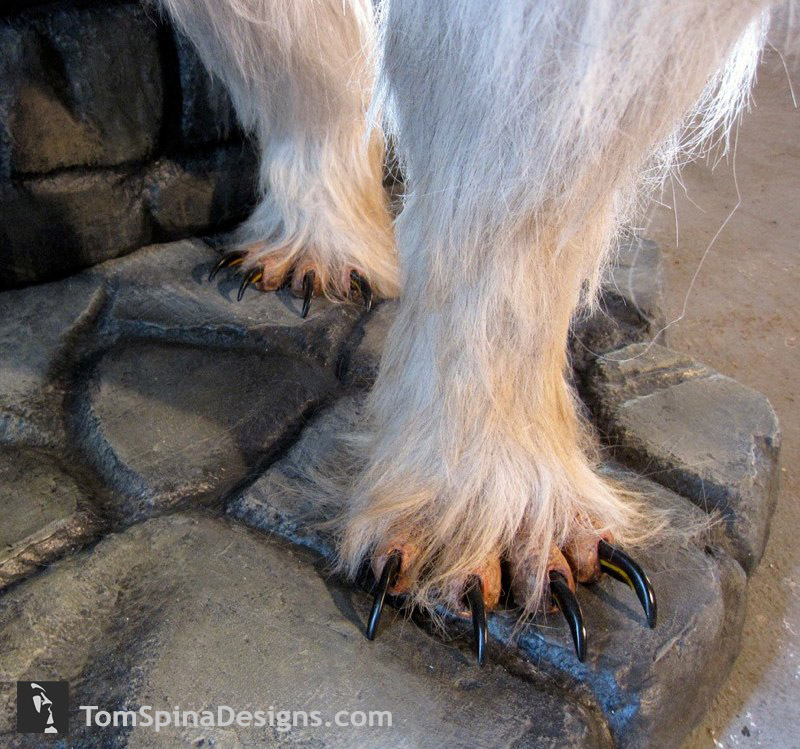 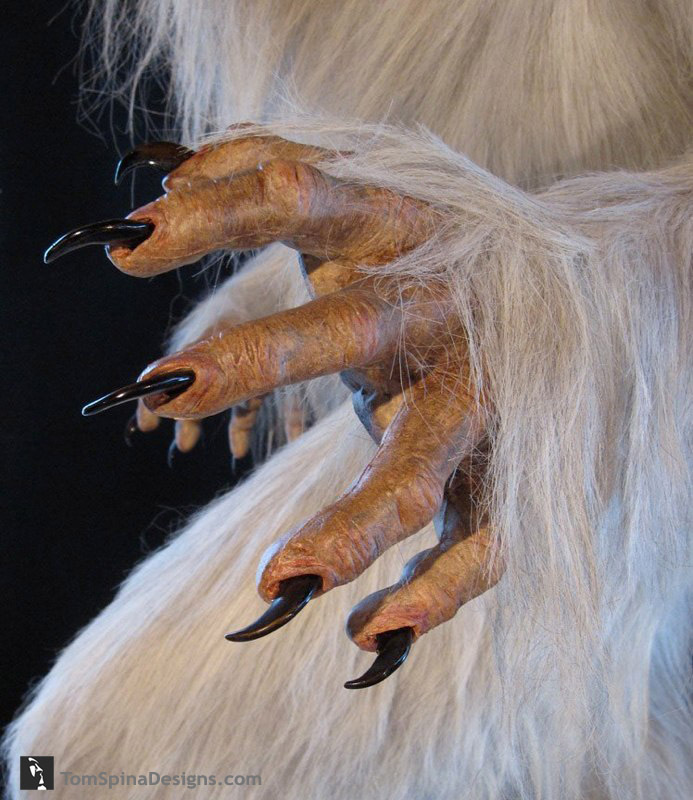 The werewolf’s fur is a completely custom made hair from the premier source for movie costume fur, our good friends at National Fiber Technology. 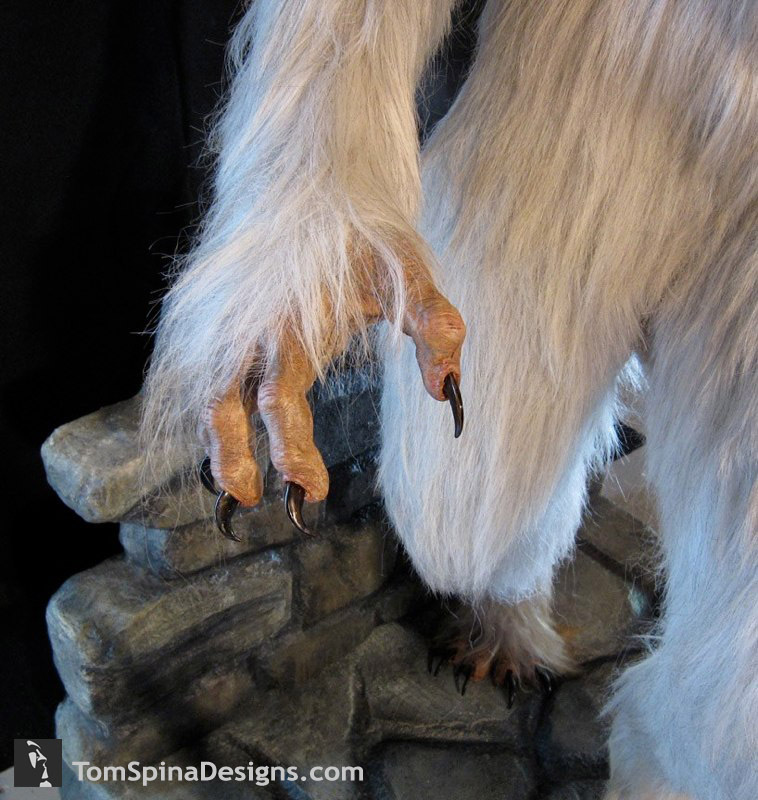 Though it may not show in some pictures, we created a custom blend that consists of a mix of white, silver, creme and black tones for a realistic “animal white,” and not a “stuffed toy” look. 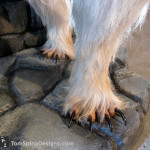 The beastly sculpture also features custom glass eyes, resin cast bear claws on the fingers and toes and highly detailed teeth and tongue. 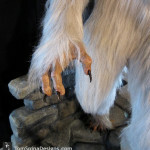 The statue’s head and hands were custom sculpted in clay and molded for casting in latex. 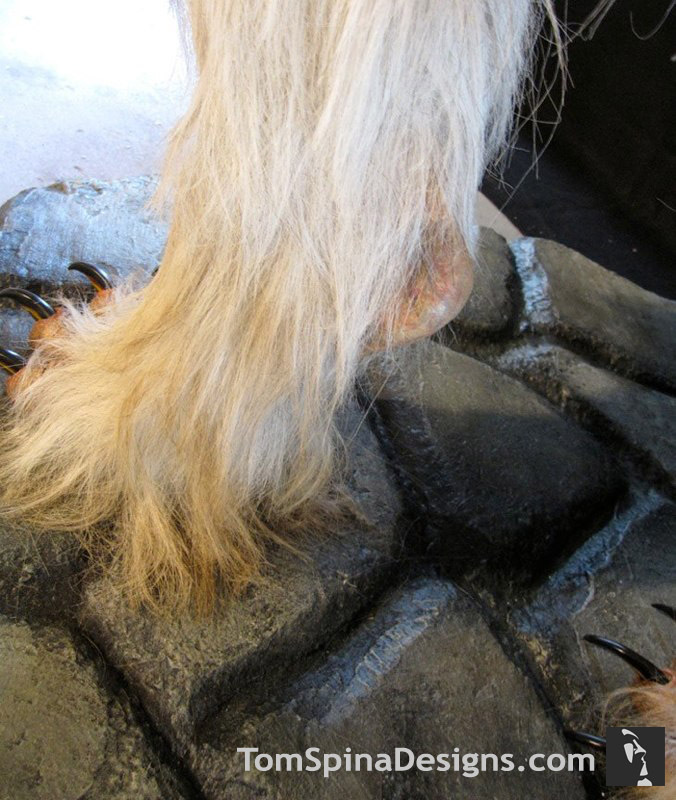 The latex skin allowed us to punch hair and create a realistic multi-layered paint for the statue. 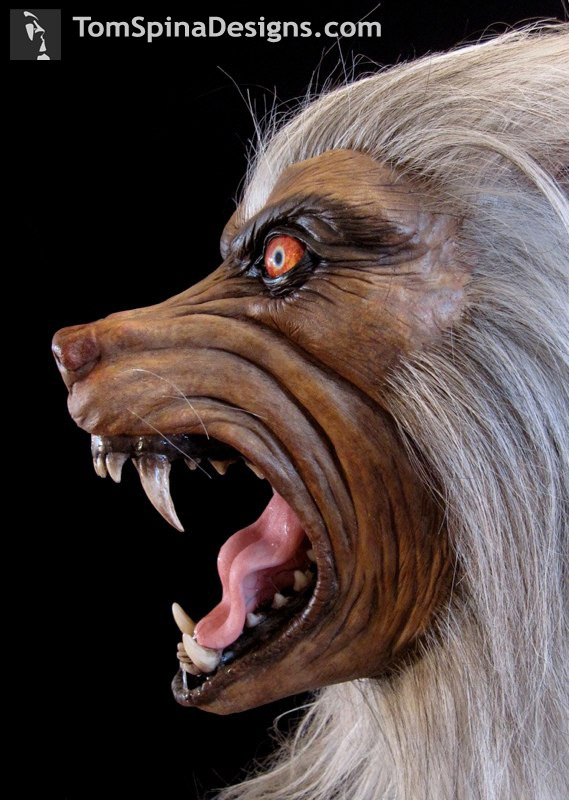 We’re all big fans of horror movies and classic werewolf movies. 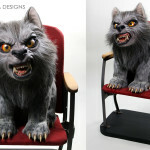 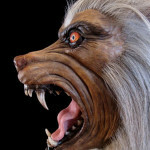 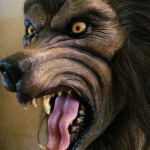 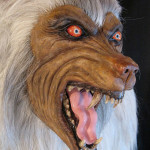 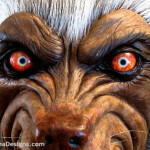 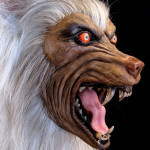 If you’re looking for someone with custom werewolf statues or even costumes for sale, you’ve found them! 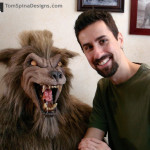 Are you looking for a statue for your home, office of man cave?